Baseball is such a rush. It starts in February when pitchers and catchers report, and then slowly builds over the course of the next eight months, reaching the adrenaline rush of the post-season, capped by the exhilarating World Series. Then, nothing. We can only wait and watch as the Yankees beat writers jump from one potential story to another without yielding much fruit. Things will pick up in a few weeks as we approach the Winter Meetings, but for now, we just have to sit around wondering when the Yankees will give us an indication who they might be considering for the job to lead the 2018 Yankees. I can honestly say that I have no desire to see Alex Rodriguez named as Yankees manager. I do not dispute A-Rod’s baseball knowledge and I know that he’s been a positive influence on the younger players during Spring Training but neither of those attributes qualify him as a Major League manager. This is a man who was suspended an entire year for PED use after he had already been implicated with earlier use of performance-enhancing drugs. I was glad to see A-Rod’s time as an active member of the Yankees end and I have no interest in watching him don the pinstripes again (outside of brief Spring Training appearances). As it is, I am tired of the daily “J-Rod” updates. If Alex became the Yankees manager, those daily sightings of Jennifer Lopez and A-Rod would only worsen. I lived through the Bronx Zoo of the 1970’s. I am not willing to entertain the thought of The Bronx Zoo, Part II. So count me among those with no interest in seeing A-Rod become manager of the Yankees. It took awhile and included a detour through Cincinnati, but Jake Cave finally earned a spot on the Yankees 40-Man Roster when he was added on Monday. Cave returned to the Yankees but rather than sulk, he continued to work on his craft. He was left unprotected again in 2016 but was not selected in that year’s Rule 5 Draft. His performance in 2017 exceeded expectations as he finished with 20 home runs and 56 RBI’s at AA/AAA combined. His batting line was .305/.351/.542 with .893 OPS in 103 total games. His hard work has been acknowledged by the Yankees and he’ll get an opportunity to go to the Major League Camp with the Yankees in February for the first time. Cave profiles as a fourth outfielder but he is clearly a success story among Yankees prospects. With guys like Cave and Billy McKinney chomping at the bit, the Yankees need to clear out Jacoby Ellsbury and/or Brett Gardner to make way for the younger guys. I’d hate to see Gardner go but it is Clint Frazier’s time for left field. Aaron Hicks is a better center fielder than Ellsbury. So, I’d prefer to see Hicks and Frazier in the starting outfield with Aaron Judge, and guys like Cave and/or McKinney backing them up. The Yankees also added reliever Nick Rumbelow to the 40-man roster. Rumbelow had Tommy John surgery in 2016 and missed part of the 2017 season with his recovery. After pitching briefly for the Double-A Trenton Thunder, he was lights out for the Triple A-Scranton/Wilkes-Barre RailRiders. In 17 games (covering 29 innings) for the RailRiders, Rumbelow was 5-1 and had a sterling 1.12 ERA with 5 saves. He struck out 30 batters, while walking only 8. Rumbelow, like Cave, is a success story. He was released by the Yankees in November 2016 (free to go anywhere like Nathan Eovaldi did when he signed with the Tampa Bay Rays). Rumbelow opted to re-sign with the Yankees on December 15, 2016 and we’re glad he did. The Yankees still have a number of Rule 5 decisions to make but these were a couple of easy ones. I have no doubt the Yankees will be forced to leave quality talent unprotected for this year’s Rule 5 Draft. GM Brian Cashman, between his managerial interviews and negotiation of a new contract, has his work cut out for him. Free Agents became available to talk to other teams on Monday afternoon. Most forecasts show the Yankees to be very limited players in the FA arena as they attempt to avoid MLB’s competitive balance tax and reset future penalties for going above the payroll threshold. Sadly, the Boston Red Sox were able to do that this year, so they’ll be more aggressive this off-season. During the press conference yesterday to announce new Red Sox manager Alex Cora, Dave Dombrowski, President of Baseball Operations, was asked if the luxury tax would be limitation. He responded, “No, I do not”. The same question was posed to Red Sox owner John Henry and he replied with, “Well, (Dombrowski) answered the question. He said he could go over.” I would not be surprised to see the Red Sox go hard and heavy after Kansas City Royals first baseman Eric Hosmer. Most forecasts that I have seen only show the Yankees signing Japanese two-way star Shohei Otani and CC Sabathia. Without too many moves necessary, I’d be very happy to see the Yankees acquire Otani. There is uncertainty with the current dispute in negotiations between MLB and Nippon Professional Baseball for a new posting agreement. However, Otani took a step in the positive direction by hiring Creative Artists Agency (CAA) to represent him if he is posted and made available to MLB teams this off-season. I am not overly excited about the anticipated return of Chase Headley to third base for the 2018 season. The question will be whether Gleyber Torres or Miguel Andujar will be ready. I doubt either one breaks camp as the starter but it could happen sooner rather than later. Headley runs too hot and cold for me. I’d prefer to see greater consistency out of the position to protect the big bats in the lineup. I’d love to see the return of Todd Frazier, but the timing is not right and the Yankees are not in a position to offer a free agent multiple years at third base. For the short-term, we’ll have to deal with Headley. It was funny yesterday that both Yankees GM Brian Cashman and former Yankees manager Joe Girardi were giving interviews at the same time. It’s tough listening to Girardi as he really sounds like a guy who wanted to be a part of the next great Yankees dynasty. I am surprised that the Washington Nationals didn’t make a run at Girardi with their World Series-caliber roster. But then again, the Nats aren’t known for spending cash on the managerial position and perhaps they were too far down the road with new manager Dave Martinez. At this point, it appears that Girardi will sit out a year (perhaps taking a broadcasting position) and will emerge as a viable managerial candidate in the 2018 off-season. The more Cashman talks about communication as a primary reason that Girardi was not re-hired and in particular his relationship with the younger players, it leads me to believe that there are reasons at play that we will never know. Maybe one day when Cashman retires and writes his memoirs. I don’t know about you, but I am ready for some genuine Yankees news. These quiet days leading up to the Baseball Winter Meetings next month are tough. I am getting a little tired of watching Houston Astros show up on Saturday Night Live or Carlos Correa discussing how he decided to propose to his girlfriend immediately after the World Series had ended on the Jimmy Kimmel show. Justin Verlander’s wedding pics in Italy are nice, but I want to know about our guys. It is time to get the Yankees back in the news. In my last post, I stated my preference for Masahiro Tanaka to be named the Opening Day starter. This, of course, was before Joe Girardi announced that Tanaka, in fact, would be the starter. So of course, Tanaka promptly bombed as the Yankees were throttled by the Toronto Blue Jays, 6-1. The start didn’t change my opinion that Tanaka was the best choice. Michael Pineda is the next best starter on the staff, but he didn’t deserve the nod over Tanaka. CC Sabathia may have been the sentimental choice if for no other reason than the consecutive years he has been the starter. But his performance last season (injuries combined with the continued gradual decline) didn’t warrant the start either. Nathan Eovaldi wasn’t going to get it, and neither was Adam Warren. The right choice was made by Girardi even if the results indicated otherwise. My concern, more than anything, is the health of Tanaka’s arm. Yes, it was only one start and one start does not a season make. But going to last year after he returned from the DL, the results of not been great. If Tanaka has to learn to be a different pitcher at age 26 to lessen the strain on the elbow ligament, there’s no guarantee that he’ll be successful. A solid outing would certainly help allay some of the concerns, but inevitably, I do feel this road leads to Tommy John surgery. The sad part is that if he undergoes the surgery at any point this season, we most likely would not see him again until 2017, with 2018 being the target for a full return to health. It’s too bad the Yankees do not have the quality starters to go six deep. I’d rather lessen the load on Tanaka by spreading the distance between his starts. Tanaka’s health certainly increases the spotlight on Adam Warren, as he’ll need to be the man to bridge the gap. Today he is covering for Chris Capuano and Ivan Nova, but later in the summer, it could very well be for Tanaka. Larry Rothschild is certainly earning his paycheck. Earlier in the year, I didn’t think we’d see Luis Severino in the major leagues this year. Now, it appears to be only a matter of time. It is hard not to get excited about certain prospects, and that certainly held true for catcher Austin Romine who was once billed as one of the organization’s best catching prospects along with since traded Jesus Montero. Romine has the bloodline (his father Kevin played for the Boston Red Sox among other teams and his brother Andrew plays for the Detroit Tigers). I was hopeful that Romine would use spring training to show the team that he belongs in New York. It didn’t happen with a sub .200 batting average. Perhaps the odds were against him since he was out of options and John Ryan Murphy, his competition for the back-up catching spot, is the better hitter. Still, it was sad when the team announced just before the start of the season that it had designated Romine for assignment. Maybe there’s a chance that he stays in the organization, but it seems inevitable that a trade is the more probable outcome as there isn’t much of a chance Romine could slide through waivers (teams need catching help too much, just ask Boston). Romine has been an outstanding team guy and he’ll serve some organization well when/if he finally gets his chance at the Show. I am still not an A-Rod fan but I have to admit that he carried himself well in spring training and has done everything the team has asked. If the Yankees suddenly found a way to rid themselves of A-Rod, I’d be all in favor. But since that’s not going to happen, I’ll have to give A-Rod credit for not rocking the boat. I still can’t bring myself to cheer for A-Rod but he’s effectively shut me up from booing for now. I am glad that the baseball season is back but it would have been more exciting to open the season with a victory. It was tougher to see the loss combined with a convincing Red Sox win on Opening Day. Red Sox always gloat in victory so Opening Day was no exception. I do feel more confident with Michael Pineda on the mound Wednesday, however, the team offense needs to step up their game. Like many Yankees fans, I found myself very disappointed that the Yankees lost Cuban free agent infielder Yoan Moncada to the Boston Red Sox. After an off-season of inactivity, it felt like the Yankees would make the winning push to bring Moncada to the Bronx. Then, to come up short to the Red Sox, feels so wrong. The money the Yankees were offering Moncada was huge ($25 million with the potential to go to $27.5 million), particularly considering the 100% tax associated with the bid had it won. Boston was all-in with over $31 million, and we are left to wonder why the Yankees couldn’t push a little bit harder. I know, a 19 year old who has not proven himself and is at least two years from the major leagues. Still, under best case scenario, he would have been THE replacement for Robinson Cano. Perhaps the Yankees feel that they are in good hands with Rob Refsnyder at second and potentially Eric Jagielo in a few years at third. If Moncada puts up Hall of Fame numbers in Boston, this one will be forever a hard one to take. I felt that he was a blue chip, can’t miss prospect and he certainly would have zoomed to the top of the Yankees prospect list had he signed. Conversely, if he flops, this will sting in Beantown and Hal Steinbrenner will look like a genius. But somehow, I suspect that Moncada will be alright and Hal’s frugal mind will leave the Yankees as the bridesmaids. It’s hard to think of a guy who is spending nearly $235 million to field a team this year as a frugal mind but he is unquestionably more bottom line oriented than his father was. If the Yankees fail to advance to the play-offs for the third year in a row, it is going to place great pressure on Joe Girardi and Brian Cashman. But it’s the owner’s decision to go young and cut costs so time will tell if the manager and GM are the casualties. I am not looking for Girardi to leave. If he does get the ax, there’s not really anyone out there that I think could do a better job (who is not already employed). This is a tough year. We have to have faith that the young moves for guys like Didi Gregorius and Nathan Eovaldi will pay off. Can they bridge the gap to when the farm system is ready and capable of producing major league talent? If Brian McCann, Carlos Beltran, Mark Teixeira, CC Sabathia, and, egads, Alex Rodriguez can’t turn back the clock, it’s going to be a long year in the Bronx and the future, without Moncada, is still a bit unclear. I am not sure what I would do if I was the owner of the Yankees. It is so important to get a collection of cost controlled players to supplement the larger contracts. Everyone on the 25 man roster can’t be a mega-millionaire. Something has to give. But with the younger players, after years of picking lower in the draft or not having any top draft picks, the Yankees have to figure out a way to be creative. The loopholes that they’ve exploited for a century have closed and they need to find new ways to exert their financial strength. Otherwise, it’s going to be a long time before a World Series championship returns to its rightful home. My guess for a World Series champion in 2015 is the easy pick…the Washington Nationals. On paper, they have it top to bottom. But inevitably, it will be some surprise team that no one saw coming. But sadly, the Yankees will most likely be home for the holidays by October. We are supposed to simply accept a handwritten apology? Right. Sorry, I don’t buy it and I don’t think it would matter if A-Rod spoke before a packed house at Yankee Stadium. Alex Rodriguez is sorry for only one thing. He got caught. He could care less about you or me. Honestly, at this point, the only thing that I’d accept out of A-Rod’s words would be a retirement announcement. I saw a few New York sportswriters commenting that home runs will bring the fans back. Are we so shallow that we could forgive Alex for his behavior by simply forgetting all with the first ball that clears the fence? I know that I will not be a fan of Alex Rodriguez today nor would I be one if by September he has hit 40 home runs. My days cheering him are over. I am still a Yankees fan, and of course, I want the team to win. I would not wish for A-Rod to do anything detrimental to the team (well beyond the damage that he’s already done) but I will only accept his contributions as team contributions, not individual accomplishments. I admit that I hope Alex plays so poorly in the spring, the Yankees bite the $60 million bullet and release him. But that’s too far fetched to be possible. He won’t need to do much to hold his own on the roster. Rob Refsnyder could play twice as well in spring training and end up in Scranton/Wilkes Barre while A-Rod is the team’s full time DH. But still, the thought of an outright release would be the best possible outcome in my mind. As good as the Boston Red Sox’ front office has become, it’s too bad they weren’t better back in 2003 when they failed to acquire A-Rod from the Texas Rangers. How differently things might have been had A-Rod gone to Beantown. There was a time when it seemed odd that Phil Hughes wore #65 or that Joba Chamberlain wore #62. Now, with the announcement plans to retire numbers 20, 46 and 51, the lower numbers are slowly going away. Of course #2 will soon be retired for Derek Jeter and I’ve always wondered if some day #21 will be taken down for Paul O’Neill. Jorge Posada, Andy Pettitte and Bernie Williams were all great Yankees and they deserve becoming legends of Monument Park. It was also very classy of the Yankees to announce plans for a plaque for former second baseman Willie Randolph. It thought it was cool when Manny Ramirez wore #99 for the Los Angeles Dodgers a few years ago. Now, we’re probably just a few seasons away from someone donning the same number with the Yankees. Hopefully, I won’t live to see the days when players are wearing triple digits. Based on all reports, I would love nothing more than to see the Yankees sign Cuban infielder Yoan Moncada. However, based on what I’ve read, I do expect the Los Angeles Dodgers to win the bidding. I hope the Yankees emerge victorious. Given they’ll be limited in the international market for the next few years, Moncada would be icing on the cake for the fantastic international draft they had this year. I know that there are no certainties but Moncada does sound like the real deal. I guess if the Dodgers win the bidding, I shouldn’t fret too much since I live just a few miles away from Dodger Stadium. But after an off-season of largely inactivity, signing Moncada would make this winter well worth the wait. I guess we’ll find out in the next couple of weeks. Count me among those who hope that new MLB Commissioner Rob Manfred re-opens the Pete Rose case. It’s time to let Pete the Ballplayer take his rightful place in Baseball’s Hall of Fame. I will never defend Pete the Man, but I saw the ballplayer play, and he remains one of the greatest that I’ve ever seen. He has served his sentence and deserves to stand among the game’s greats. It’s hard to believe that it is time for pitchers and catchers to report. With this off-season’s inactivity and losses, it is hard to envision October baseball in the Bronx. Yeah, yeah, if all things go right and everyone stays healthy, I know they have a chance. But realistically, this is a third place team at best with the potential for the cellar if things go horribly wrong. As always, I will throw in the caveat that I hope I am wrong. But if anything, I do think the Yankees are laying the groundwork for future success. I wanted to see the Yankees make a move but sending Martin Prado to Miami was not exactly what I had in mind. As with my previous post, I understand why the Yankees can’t pay another $25 million per year for a top starter and how that figure balloons with the luxury cap limitations. 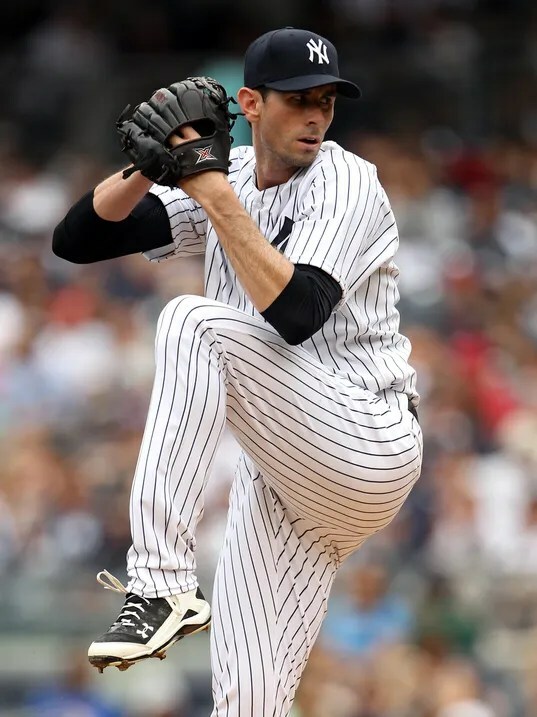 It’s good that the Yankees are acquiring a young arm with Nathan Eovaldi but when I heard the guy has had control problems and allowed the most hits among NL starters, I wasn’t exactly enthused. Still, there must be something in Eovaldi that Larry Rothschild and company see and know that they can tweak for more effective results (or so one would hope). The Yankees have long needed a quality back up first baseman so adding Garrett Jones does add some pop off the bench with an ability to play first for extended periods of time. I liked having Martin Prado on the roster given his versatility, however, if his departure means that Rob Refsnyder will get a legitimate shot at second base in the spring, then I am all for it. Jose Pirela has been hitting all winter long and looks like he can be the utility player that Ramiro Pena never was and might even be an option at second base if Refsnyder stumbles. Clearly, the Yankees do need to open starting spots for young guys and as such, the Prado trade was probably justified after the team re-signed veteran third baseman Chase Headley. I still do not see the Yankees as more than an 85 win team (and most likely less). But as some have said, they are accomplishing the goal of getting younger. Personally, I think if this is the path they’ve chosen, then it’s best to move the most desired players to other teams for quality prospects and wait for the albatross contracts to expire. As it stands, we’ll be watching the Chicago White Sox, Toronto Blue Jays, Los Angeles Angels, Boston Red Sox, Seattle Mariners and Detroit Tigers race for the AL Championship. I don’t expect the Baltimore Orioles to go away, but I don’t think the Yankees will be in the thick of things come September based on the current roster configuration. I am just not convinced that we’ll see the collective bounce back of the group that includes CC Sabathia, Brian McCann, Alex Rodriguez, Carlos Beltran and Mark Teixeira. Chances are that one or more will spend a significant amount of time on the DL and the Yankees will be searching for replacements in AAA and on the scrap heap. Would Max Scherzer change that outlook? No, probably not. The Yankees need a vast overhaul and it’s probably going to take a few years just to flush the toilet. The Boston Red Sox and Los Angeles Dodgers have been able to maneuver very quickly to unload dead weight but the Yankees have too much of it. The worst thing the Yankees could do at this point is to sign a veteran infielder like Asdrubal Cabrera to play second. I don’t want to see a placeholder at the position. I’d rather see a player with strong long term potential. No more Mark Reynolds fill-ins. It is time to develop the future core of the team. I would love nothing more than to see a guy like Tyler Austin come to spring and force the Yankees to play him in right field. Carlos Beltran should be the full-time DH at this stage of his career, not Alex Rodriguez. A-Rod should be playing somewhere in Siberia. If there is one move that would make me truly ecstatic this off-season, it would be to find a way to eliminate A-Rod’s presence. If I was a billionaire, I’d gladly give another team $61 million to take him off my hands. Chris Capuano qualifies as one of those Mark Reynolds fill-ins, but of course, he’ll be the first to go if Ivan Nova successfully returns in May or June. The wild card that I like is to finally see Manny Banuelos fulfill his destiny of reaching the Bronx. He is now far enough removed from his Tommy John surgery that 2015 should be his potential breakout year ala Dellin Betances. If the Yankees broke camp with Banuelos in the starting rotation over Capuano, I’d be very happy. I am sure that there are still more moves to be made, but at least the Yankees are finally doing something even if we do not yet fully understand the plan. I fully understand why the Yankees can’t field a starting rotation full of $25 million per year starters. I recognize that Max Scherzer is most likely cost prohibitive for even the rich Yankees. But my problem is the off-season of inactivity has me concerned about the prospects for 2015. I am glad the Yankees signed lefty reliever Andrew Miller and re-signed starting third baseman Chase Headley, but as it stands, the Yankees are not a better team today than the one who finished with 84 wins last season. Miller’s addition was offset by closer David Robertson’s departure, and Headley is a returnee. Other guys who helped make a difference last year, like Brandon McCarthy and Francisco Cervelli, are no longer Yankees. The Yankees were wise not to pay McCarthy $48 million for four years, but he will still be missed. Cervelli brought lefty specialist Justin Wilson to the team and he’ll help in the bullpen, but it remains to be seen if John Ryan Murphy or Austin Romine can match his intensity as Brian McCann’s backup. It’s difficult watching other teams make bold moves to improve while the Yankees sit idly by. If the Yankees are not in on Scherzer, then why are they not pursuing guys like Kris Medlen. Medlen was a very talented pitcher before he got hurt. There’s risk for the Kansas City Royals in signing Medlen today, however, there’s also very good upside potential. The Yankees’ preference was to re-sign #5 starter Chris Capuano who failed in Boston and was considering Japan when the Yankees called. If the Yankees had a strong farm system with the upper levels stacked with major league ready talent it would be one thing, but that’s not the case. The best talent are years away from helping. Honestly, if the Yankees are not going to try to win, I’d prefer to see them blow the team up and send the trade-able players away for quality prospects. A few 95 loss seasons for the chance to return to prominence would be preferable to an annual 85 win team that consistently comes up short in September. Or better yet, I’d prefer to see the Steinbrenner family sell the team to someone who shares the understanding that George Steinbrenner had about the importance of successful Yankee teams. The Yankees are not going to win with the current roster. Paying Alex Rodriguez nearly $30 million per year for the next three years has, so it seems, to have paralyzed the team’s finances. Mediocrity courtesy of A-Rod. It’s almost comical when I hear players like Andrew Miller say that he joined the Yankees to win. With Team Mediocrity, the only winning he’ll see is going to the bank to deposit his paychecks. Right now, the Yankees fan base seems very lethargic and disappointed. Maybe that’s just me, but the fan base needs to be energized. Management needs to do something to show the nation they are committed to being successful in 2015. We need something to energize us. I am not sure what it would take, but anything is better than nothing. Pinning your hopes on the good health of CC Sabathia, Mark Teixeira and others is simply a suicide mission. There’s still time for the Steinbrenner boys to show Major League Baseball that they are still the Yankees. But each day of inactivity brings us closer to the inevitable season of disappointment. It’s funny, the person who may pay the price ultimately is manager Joe Girardi. If the Yankees continue the downward spiral, someone will have to be held accountable. Somehow, I don’t think it will be Hal or Hank Steinbrenner. For excited as I was for the Baseball Winter Meetings, it was a very unfulfilling time for Yankees fans. The AL East got stronger as both the Boston Red Sox and Toronto Blue Jays made significant improvements, and the Baltimore Orioles, while they didn’t make a move, are still a better team on paper. Losing David Robertson hurt. I fully recognize that not even the Yankees should be paying multiple guys in the pen $12+ million per year so I understand the decision to let Robertson walk after signing last year’s prized lefty Andrew Miller. Still, when I saw those words, “White Sox to sign David Robertson”, it was a painful sight to see. Part of me, for a few days, imagined a bullpen with Robertson, Betances, and Miller for manager Joe Girardi and the limitless possibilities. After watching the Kansas City Royals and their stellar pen, it was hard not to dream of a similar equation for the Yankees. With so many question marks in the rotation, a ‘lights out’ bullpen is a must. With Robertson gone, there’s no reason why the Yankees still can’t have a superior bullpen. But losing Robertson does show that we care about our tenured players. Well, except when their name is Alex Rodriguez. I am in favor of naming Dellin Betances as the team’s closer in spring training. I think Miller will be great as the primary setup guy and the earlier innings are in great hands with Adam Warren, Shawn Kelley and others. A year ago, there were questions about Robertson’s ability to close. His attempt to close in 2012 when Mariano Rivera got hurt was unsuccessful. The team ultimately went to Rafael Soriano who held the role for the duration of the season. Mariano Rivera was an exception. Most guys are unable to pitch at the level required to close for an extended period of time. The days of Rivera and Trevor Hoffman are over. From a financial standpoint, it makes the most sense to have a shorter term view when it comes to a closer so that you don’t get locked into a bad contract (a la Jonathan Papelbon) as the closer ages and naturally deteriorates. Robertson may still be playing at a very high level in four years, but equally, there’s a chance that he is not. He always seems to pitch in and out of trouble, but as he ages, his ability to get out of those jams may not quite be there. He’ll evolve as a pitcher and I am sure that he’ll make the necessary adjustments, but at the end of the day, the Yankees are better off not being locked into Robertson for four years at $48 million. Betances showed that he is the team’s future closer. Next year may be a bit premature, but it was inevitable. The most important thing for the Yankees is to now re-invest the $12 million per year savings into other areas. Bring back Chase Headley. Possibly sign a short term closing alternative like Jason Grilli. Make a run for Max Scherzer. But the key is to do something. The Yankees, as they presently stand, will not win in October. The week preceding the Baseball Winter Meetings was good. The Yankees acquired their 2015 shortstop with the acquisition of Didi Gregorius and the aforementioned lefty artist Andrew Miller, dominant against both righties and lefties. It was a good start but the team obviously still has much work to do before spring. I hear so many Yankees fans say that Gregorius is not Derek Jeter. Nothing against Jeter, but I’d rather see a 24 year old Gregorius starting at short over a 41 year old Jeter. Gregorius may not be the player Jeter was in his prime, but Jeter wasn’t in his prime anymore and the Yankees had to do something to improve following Jeter’s retirement. 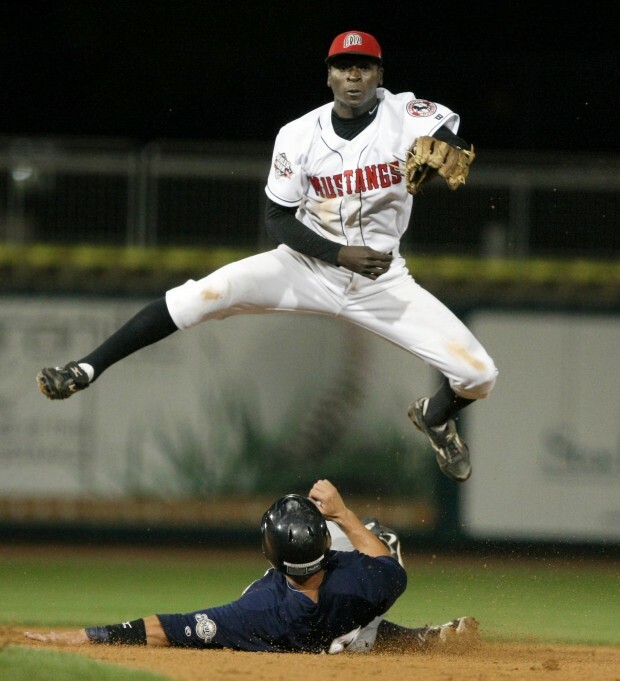 So, to me, Gregorius is his own man in the position. It is up to him to succeed or fail, without regard to Jeter. I was a huge Don Mattingly fan, but I gave Tino Martinez a chance from his first at-bat and his early struggles did not waver my support. Tino turned out to be one of my most beloved players over the years and I never compared him to Mattingly. Now if we could just send A-Rod anyway. I know, it’s not that easy. The most expensive DH/bench player in baseball history. It’s too bad those dollars can’t be re-directed to a guy like Max Scherzer. Maybe some challenges are too much for even the Yankees to overcome. But I’d love to have the money the Yankees have probably spent trying to find a way.